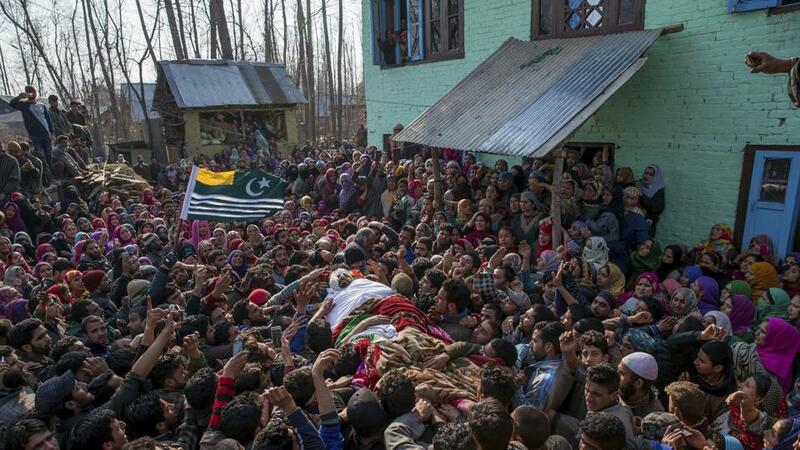 SRINAGAR: Indian troops in their fresh act of state terrorism martyred three Kashmiri youth in Indian occupied Kashmir’s (IoK) Kulgam district on Monday, reported Kashmir Media Service (KMS). The troops killed the youth during a cordon and search operation in Qaimoh area of the district. After the incident, people took to the streets in the area and staged forceful demonstrations against the operation and subsequent killing of the youth. Indian police and troops fired teargas shells to disperse the protesters, triggering clashes between the demonstrators and the forces’ personnel. The operation and the clashes were going on in the area till reports last came in. The authorities have suspended mobile internet services in Kulgam and Islamabad districts, according to KMS. On June 25, five people were martyred and dozens injured including a woman by Indian forces in IoK’s Anantnag district after the Indian troops also opened fire on a house during a cordon and search operation in Srigufwara area of the district. The troops also martyred four youth and destroyed a house during the operation. Earlier, an Indian policeman was killed and two troops were injured in an attack in the same area. A June 14 report by the United Nations (UN) accused India of having used excessive force in IoK to martyr and wound civilians since 2016, as it called for an international inquiry into the accusations of rights violations. The first UN report on human rights in IoK focuses mainly on serious violations in the region from July 2016 to April 2018. “In response to demonstrations that started in 2016, Indian security forces used excessive force that led to unlawful killings and a very high number of injuries,” the report said.